Aged 22, he inherited an art collection belonging to relatives. The Cottonian Collection includes 300 watercolours, 6,500 – 7000 prints and 2000 books. lived in the London area, but in 1839 he visited relatives in Devon and fell in love with the county. Soon after, he purchased Highland House in Ivybridge. The Cottonian Collection found its third home in private hands at Ivybridge. This collection included books, oil paintings, watercolours, bronzes and sculptures, as well more personal items such as letters, journals, research notes, travel maps and account books. Whilst in Devon, William became friendly with the heirs to Sir Joshua Reynolds and added some of his paintings to the collection at his own expense. The Cottonian collection was eventually bequeathed to the people of Plymouth and opened as a public collection in 1853. Now housed at Plymouth Museum and Art Gallery it will be available to view again when the new Plymouth History Centre is opened in 2020. William took an active role in Ivybridge and the surrounding area. He arranged care of the impoverished and was instrumental in forming a local board of health, which managed the cleaning of the drains and gutters. He also read prayers to the sick and dying in the absence of the vicar. Letters exist of his concerns of a cholera epidemic in the village in the early 1860s, following several cases of the disease. William Cotton is buried at St John’s churchyard in Ivybridge. The portrait above was by Denning, painted only a few years after Wiiliam’s move to Devon. The origins of the collection can be traced back to an art collector called Charles Rogers (1711-1784) who was Head of the Certificate Office of the Customs House in London, although a proportion of it can be traced back further to its true beginnings under the Townson family. Robert Townson (1640-1707) whose father was a successful London merchant, secured a prestigious post for him as Chief Clerk at the Customs House, introducing him to importers of art. Robert’s son William (1682-1740) inherited his father’s collection along with his position at the Customs House. Charles Rogers later joined Townson at the Customs and their shared passion for art and literature led to William bequeathing the collection to Charles upon his death. Many of Rogers’ friends were artists and collectors themselves and this led to the further enhancement of the collection. When Charles Rogers died unmarried in 1784, the collection passed to William Cotton who had married Roger’s sister Charlotte. The collection however soon passed to William Cotton’s son (William Cotton II) following his father’s death in 1791. William Cotton II lived in Clapham and had obtained the post of Chief Clerk at the Customs House after Charles Rogers’ retirement. He married Catherine Savery, daughter of the Rev. William Savery of South Devon in 1792. The collection he had inherited was now vast and included thousands of drawings, prints, books and other works of art. William was unable to accommodate the entire collection at his home, so he decided to sell a substantial proportion, reducing the collection by around two-thirds. When William died in 1816 the collection was left to his son William Cotton III. William Cotton was born in London in 1794, the eldest of six siblings to William Cotton and Catherine Savery. He married Mary Collins in 1823 and lived at The Priory in Leatherhead. However, after visiting his younger sister at Churstow, near Kingsbridge, he immediately fell in love with rural Devon. 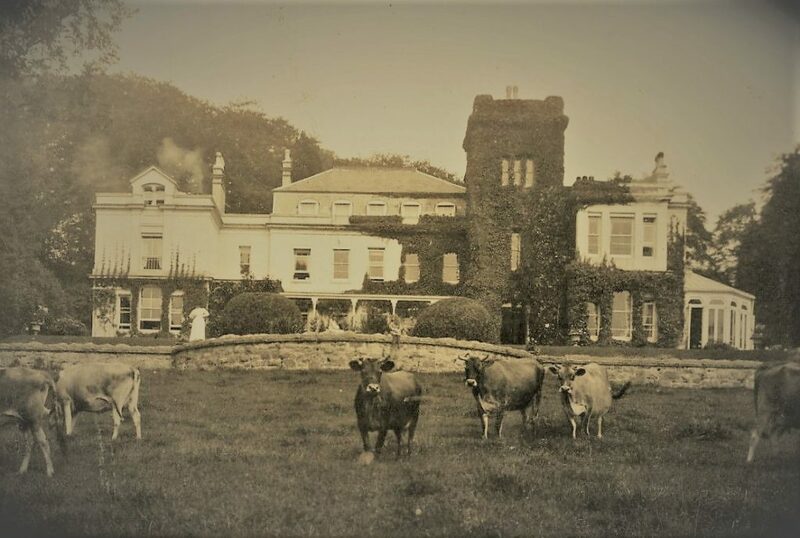 In 1839 he purchased the lease of Highland House and moved to Ivybridge, describing it as” a village much famed for its beauty of situation and surrounding scenery on the River Erme”. In 1816, at the age of 22, William inherited a substantial collection of paintings, prints and other works of art. A collection which became known as the Cottonian Collection and now resides at Plymouth Museum and Art Gallery (renamed The Box which will re-open in 2020). William’s new home in Ivybridge, Highland House, was built in 1792 and occupied a 14-acre site. He personally described it as “…delightfully situated as its name implies, on land above the level of the countryside … sheltered by a fringe of trees, gently sloping grounds and a well-planned garden boasting fine and well-established shrubberies.” He immediately embarked upon an extensive rebuilding programme, largely driven by the necessity to accommodate the collection which he had brought with him. The cost of these alterations amounted to the not insignificant sum of £500, (the entire house and extensive grounds had been sold for £600 in 1823). Apart from the house, William Cotton was also instrumental in planting many of the specimen trees which still appear today in the grounds of Highlands, as well as other large shrubs. “Nothing can exceed the brilliancy of the Azaleas and Rhododendrons” he once wrote when describing his garden. Although William and Mary never had children, they were very much family orientated and Highland House became a regular visiting destination for the wider family offering a quiet environment for relaxation and recuperation from illness. Consists of drawing room and dining room, 18ft by 16 each; four best bed rooms with drawing room and two servants’ rooms; store room; two kitchens, with a constant supply of spring water in each; dairy, pantry, laundry, cellar and every requisite domestic office. Also a good four-stall stable, coach house, cow houses, piggery, poultry houses and court, rabbit house. The above Premises … form a most desirable Residence for a Sportsman … the river Erme affords excellent fishing. 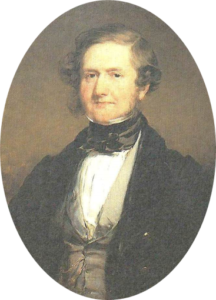 William Cotton was an empathetic member of the community, heavily involved with the cholera epidemic which started in Plymouth and Devonport and eventually reached Ivybridge in 1849. He personally chaired a local meeting to form a Local Board of Health to tackle the problem. Measures included the cleaning of drains, gutters and ponds and protecting the impoverished within the community. Also, in the absence of a resident clergyman he volunteered himself to read prayers to the sick and dying. William was a strong supporter of the church and working with Lady Rogers and her son Sir Frederick, he helped fund the building of a parsonage in Ivybridge as well as providing coloured glazing for the north window of the church. During his time in Ivybridge, William Cotton continued to add to his collection. He developed a keen interest in the specialist portrait painter Sir Joshua Reynolds and acquired several of his works. Reynolds had been a friend of Charles Rogers and the art collection included a portrait of him by Sir Joshua. It was known that William gave lectures on Reynolds and later published two major books on the life and work of this artist, ‘Life of Sir Joshua Reynolds’ in 1856 and ‘A catalogue of the Portraits of Sir Joshua Reynolds’ in 1857. By 1849, living at Highland House was placing a financial strain upon William, “I am living here to the full extent of my income, or rather beyond it” and he began looking for somewhere more economical. However, there was the small matter of his art collection to consider. He approached the Borough Town of Plympton with a plan to donate his collection to an Institute, dedicated to the memory of Sir Joshua Reynolds (who was born in Plympton St Maurice). However, to enable this to happen, a suitable building would be required to house the collection and sufficient funds secured to adequately maintain it. Sadly, the Borough was unable to raise the money to meet the special needs and the project was abandoned. Fortunately for Cotton the Plymouth Proprietary Library agreed to the terms just a year later and the collection opened in June 1853 within the Library’s purpose-built room located in Cornwall Street. Upon the death of his wife Mary in 1861, William left Highland House and went back to London. He later returned to Plymouth living at No.8 West Hoe Terrace until his death in 1863. Both William and Mary are buried in Ivybridge cemetery. The elaborate tombstone can be found under a large yew tree and nearby, the grave of Lila Yonge, the youngest child of Mary’s sister Eliza Yonge who died from measles. This girl had lived with William and Mary in Ivybridge after becoming orphaned in 1858. Following William’s death, the portion of the collection which he had retained, was added to the main collection, making it whole once more. One of the conditions of the original gift required amongst others, that the collection should be kept together. The ‘Cottonian Collection’ in 1916 came into the care of Plymouth Corporation and was housed in the Museum and Art Gallery where it has remained ever since. William Cotton’s obituary described him as a quiet man and ‘of somewhat nervously shy manners’ but he nevertheless made a lasting contribution to the village of Ivybridge and to Plymouth. William Cotton lived in the London area, but in 1839 he visited relatives in Devon and fell in love with the county. Soon after, he purchased Highland House in Ivybridge. William took an active role in Ivybridge and the surrounding area. He arranged care of the impoverished and was instrumental in forming a local board of health, which managed the cleaning of the drains and gutters. He also read prayers to the sick and dying in the absence of the vicar. Letters exist of his concerns of a cholera epidemic in the village in the early 1860s, following several cases of the disease and indeed four fatalities.